Formal response to Yesh Atid bid to block Cabinet expansion notes that the party has objected prematurely, involves High Court needlessly. 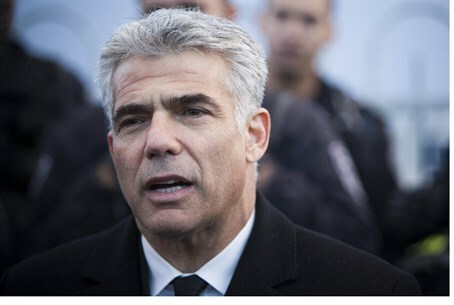 The Legal Advisory of the Knesset responded to attempts from Yesh Atid to block the expansion of the Cabinet on Monday, and has filed an application for an interim order to delay the legislative process of amending the Basic Law to allow such a move. The response, filed on behalf of Knesset Speaker Yuli Edelstein (Likud) and Knesset Legal Advisor Eyal Yinon, argues to reject Yesh Atid's petition on grounds that the bill had not been submitted to the Knesset for vote yet and is therefore premature.